What was your view of marriage growing up? 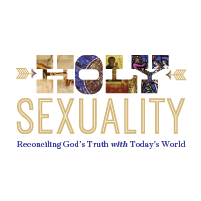 This week we conclude our series, “Holy Sexuality,” with a focus on sexuality and marriage. We will look at various passages in this study. Before you begin, take some time to pray, asking God to speak to you and transform you through this study. Whether you are studying alone or with a group, read Genesis 2:20-25 aloud. What level of commitment do you see in these verses about the marriage relationship before God? How is this similar to or different from the view of marriage in our world today? Now read Song of Songs 8:4-14 aloud. This passage is a richly poetic and almost surprising expression of the joys of love in marriage. What are the different aspects of love that you see in these verses? How does the community celebrate and guard love in this passage? What are one or two ways in which the example of the lovers in Song of Songs is helpful to you right now? Next we want to look at the challenges to married sexuality from Proverbs 5:1-23. Read that passage aloud and identify a few of the main challenges to holy sexuality in marriage. What antidotes to these challenges are presented in these verses? After looking at the challenges, it is clear that we cannot live this out from our own resources. What are some of the keys to committed sexuality in marriage from Ephesians 5:1-2, 21-33? What is the “profound mystery” that Paul connects to the marriage relationship in Ephesians 5:31-33? Why is this important? What is one major takeaway you have from this week’s study? If you are studying on your own, write it down and share it with someone this week. If you are in a group, take time to pray for one another about these things.